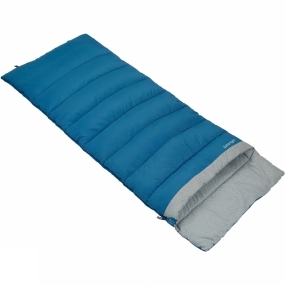 Featuring a fresh, vibrant colour and soft-touch fabrics, the Harmony Single sleeping bag offers good quality square-shaped bags for freedom of movement at affordable prices. The single has additional hook and loop at the back so it can be folded over and used by more petite users. Combining stylish brushed polyester lining and functionality, the Harmony is perfect for first-time campers, caravanners and families who are looking for something with a little more space.